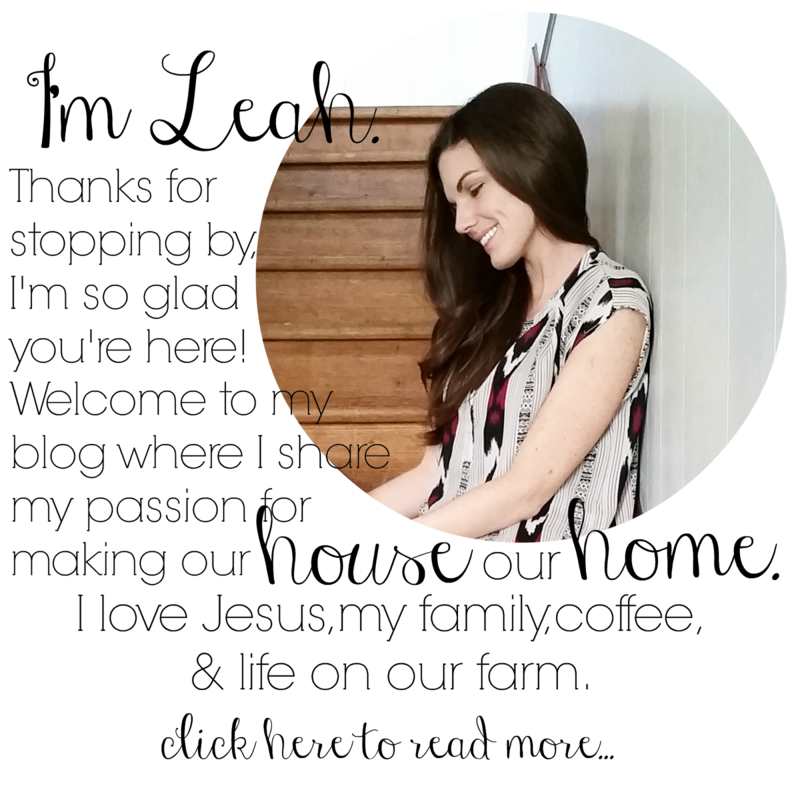 Grace Lee Cottage: Big Announcement! We're Moving! I am so excited that I can finally spread the news that we are moving! It has been a super long process, but we finally closed on our dream home just last week. It's actually an 80 acre farm with a 1960's farmhouse. My husband grew up farming and we always said that one of these days we would love to have the opportunity to own our own farm. We never imagined the opportunity would come so quickly, but it did and we couldn't feel more blessed. I am looking forward to raising our kids on the farm and living more of a simple life. Slowing down and living more simply has been a goal of mine for quite some time. I may even try to grow my own garden one of these days, who knows! 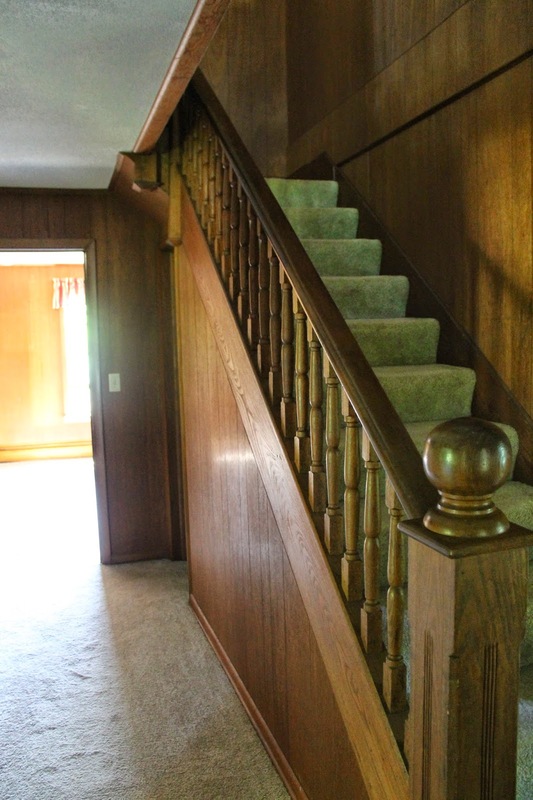 The house on the farm was built in the 1960's, but the builder was able to save the original staircase from the house that sat in that very spot years and years ago. 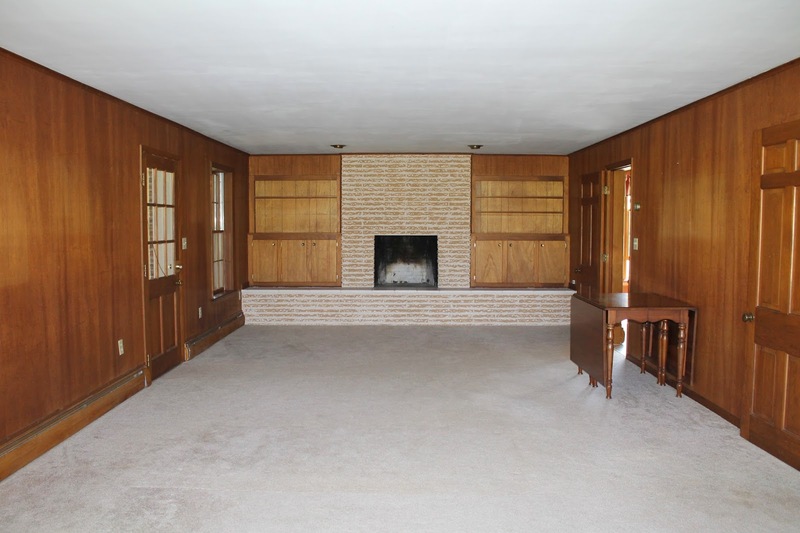 This house has so much character and space! A part of me is a little overwhelmed at the thought of having such a large house to fix up and take care of. I have always been drawn to smaller and more cozy spaces, but I am looking at this house as a new challenge for me, and I know my kids will absolutely love growing up here! The new house is 3200 square feet with 4 bedrooms and 3 bathrooms. Definitely a lot larger than our current 1200 square feet home with only 1 bathroom. It is also a major fixer upper! It has great bones and has been very well cared for, it's just a little on the dated side. Now on to the photos of our new home! The living room is huge! It's 30 feet long! 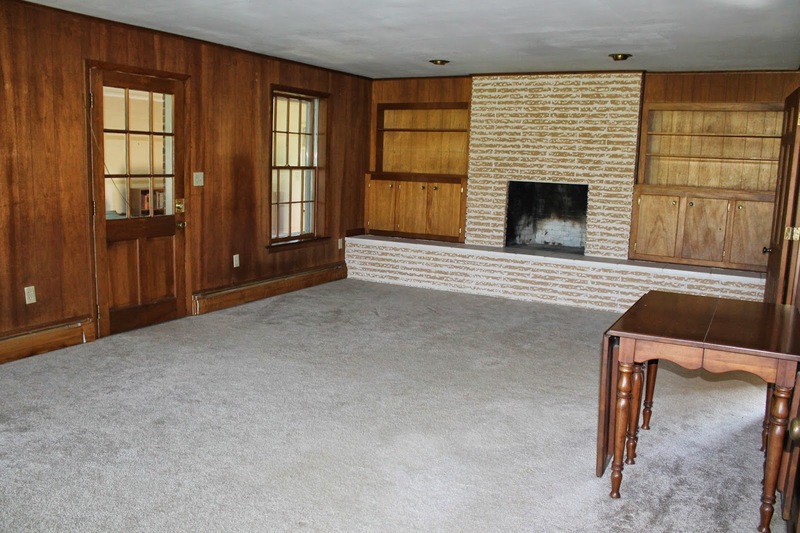 My favorite part is the fire place and the built ins. 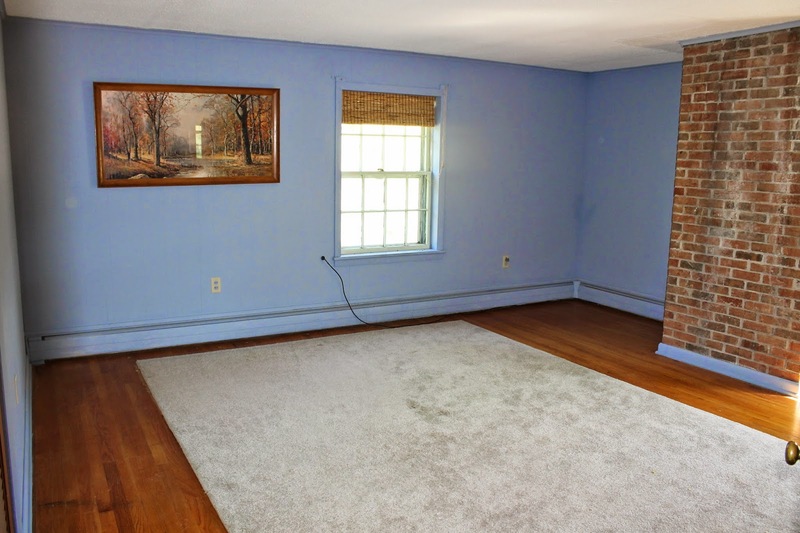 It will definitely be a challenge to figure out how to arrange furniture in such a large space. 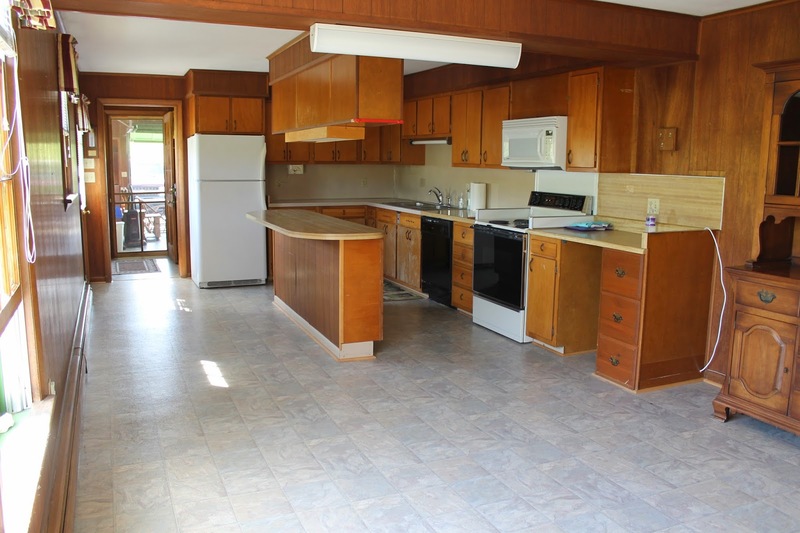 The kitchen is large too. It has a large area for a dining set. There is no formal dining room in this house, but that's okay, we are not really formal dining room people anyways. I love the layout and the island. 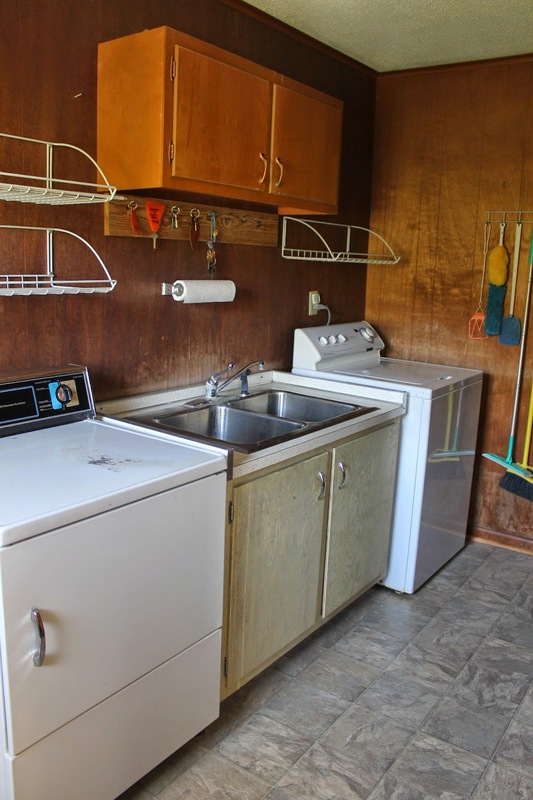 The laundry room is another spacious room. 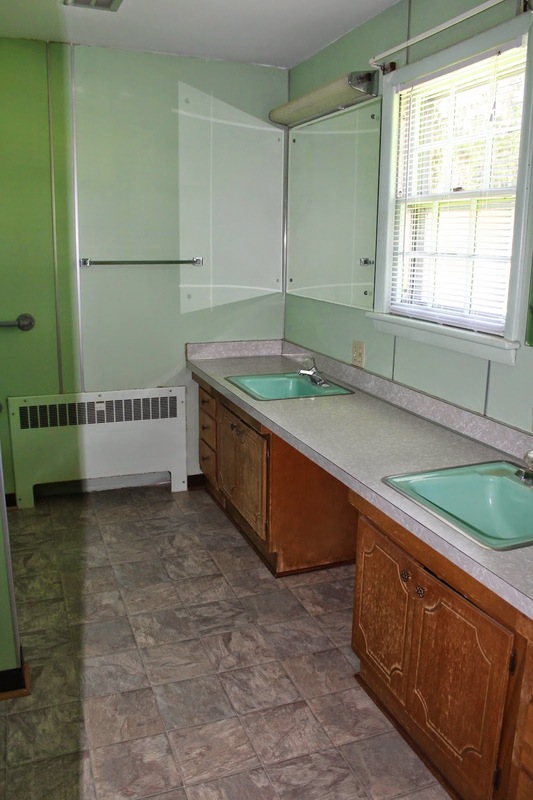 I love my current laundry room because it has a sink, so I am thrilled that this one has one as well. 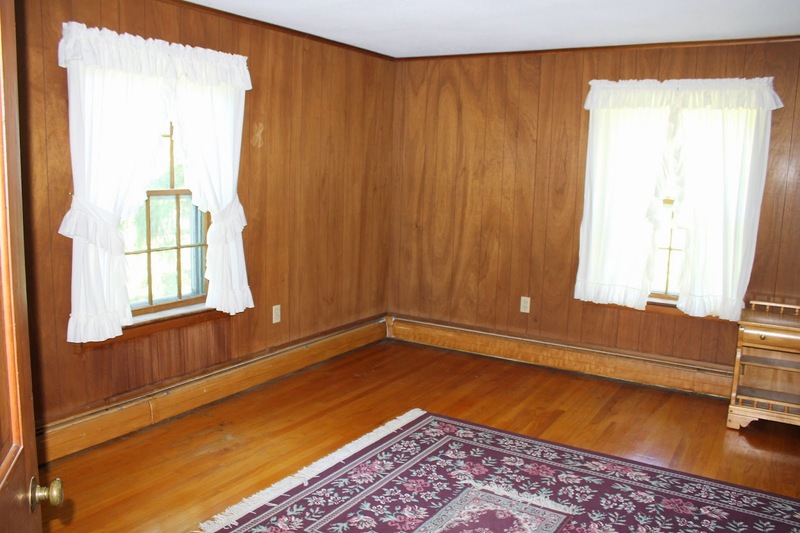 This room looks like it used to be a porch. 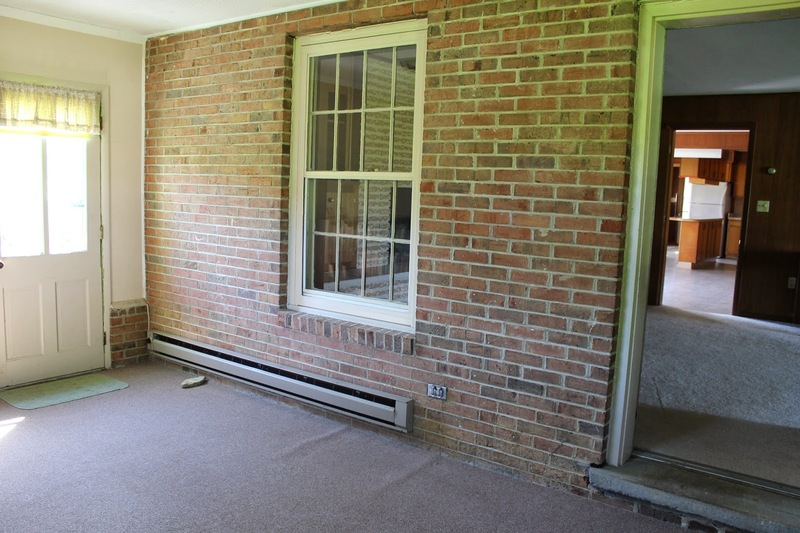 We don't really need this extra space, so we have plans to turn it into a screened in porch instead of an enclosed room. Plus since it is connected to the living room, we think a porch will let in much more light. The living room is currently very dark. 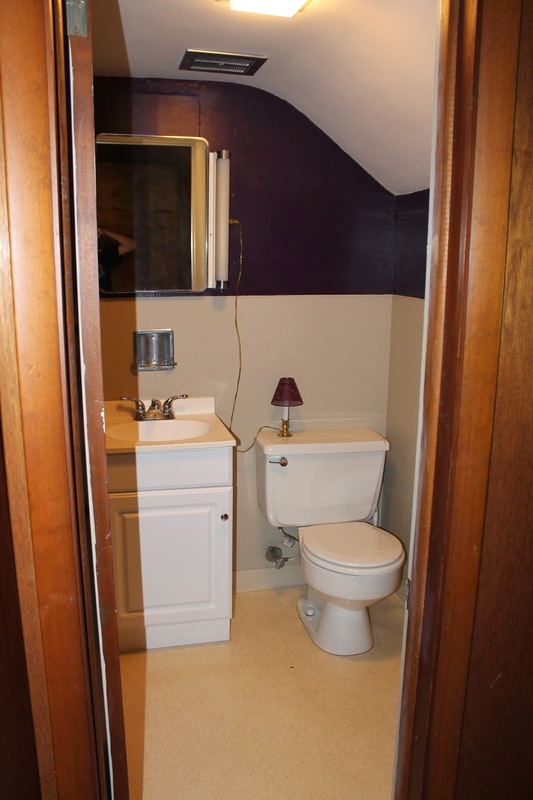 I love how this bathroom is tucked under the stairs. No wasted space in this house, which I love! 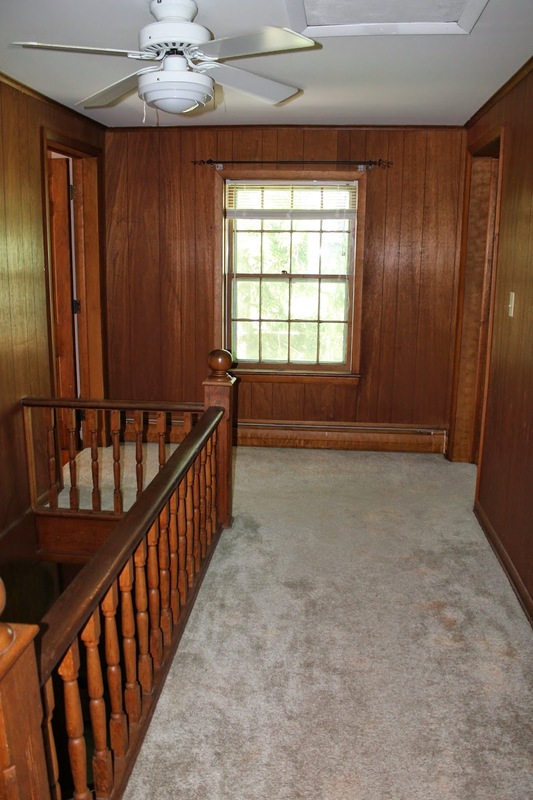 This is the down stairs bedroom. I think it was intended to be the master since it has an attached bathroom, but it's the smallest bedroom in the house. We will be using it as an office/trophy room. 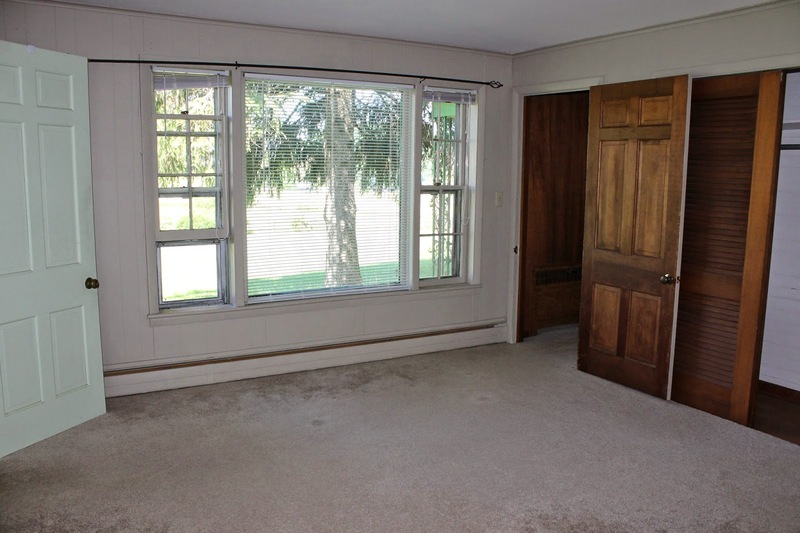 We will be using one the bedrooms upstairs as our master so we can be closer to our kids while they are little. 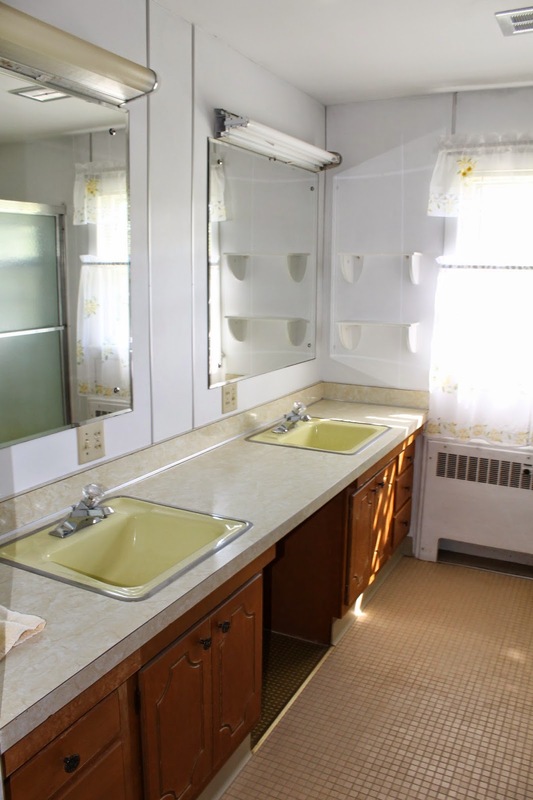 Here is the bathroom attached to the bedroom pictured above. This will be Audrey's room. 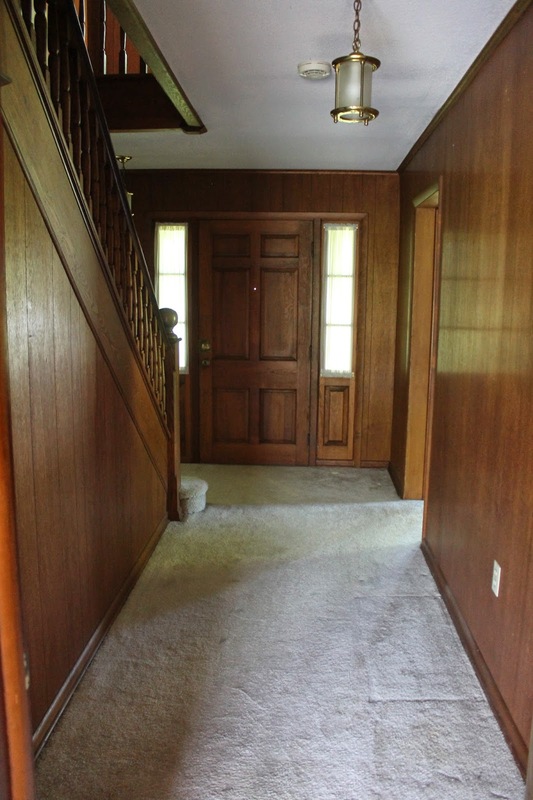 The door you see above leads to a really cool attic space that we are planning to turn into a play room. It's even finished! It just needs paint and flooring. I will snap a photo of it to share soon. This bedroom will be our son Roby's room. It is the exact same size as Audrey's room. 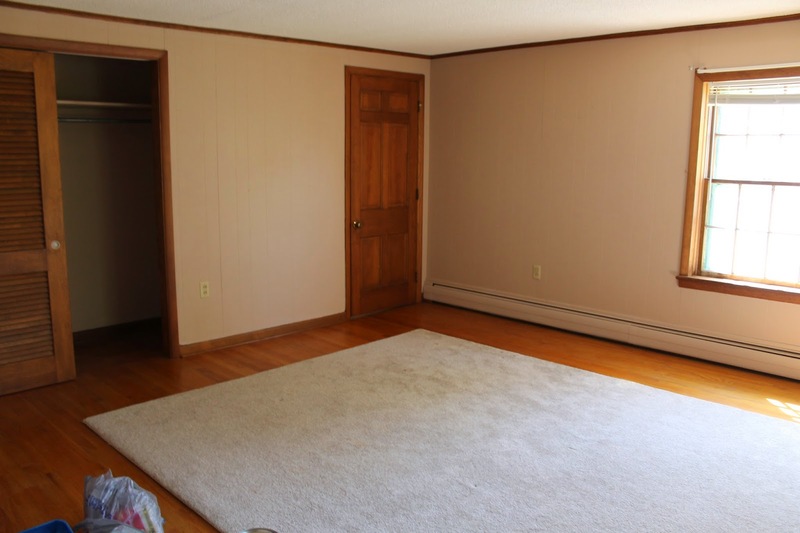 This bedroom is the largest of all 4. 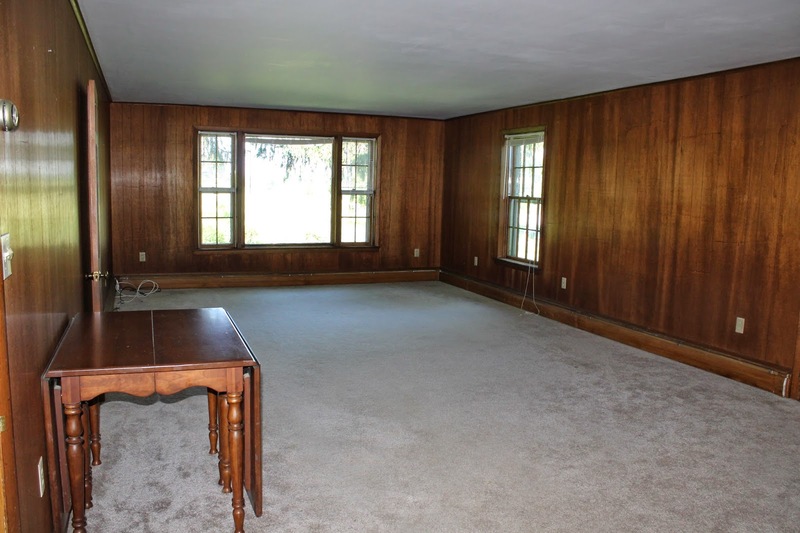 We will be using this as our master bedroom. I have much more to share. I still need to take photos of the exterior, the finished attic, 2 car garage, etc. I am looking forward to slowly making this house our home. I know I have my work cut out for me, but I am choosing to focus on the journey rather than the destination. As for our current house, we are planning to sell it. We are still living in it until we can get a few projects done at the new place. I have already painted both of the kid's rooms, and they have already started moving some of their things in. I will share photos next week of our progress! Thank you Nicole, I may need some of your gardening tips! I will definitely keep you posted! How exciting!!! Looks like there is a lot of potential in this place!! Can't wait to see what you do with it. Thank you! I sure hope so! I'm excited to get started. Thanks so much! Creating a hobby area in the living room is a great idea! I never thought of that, it is such a large room I could definitely do that, thanks for the suggestion. Congratulations! 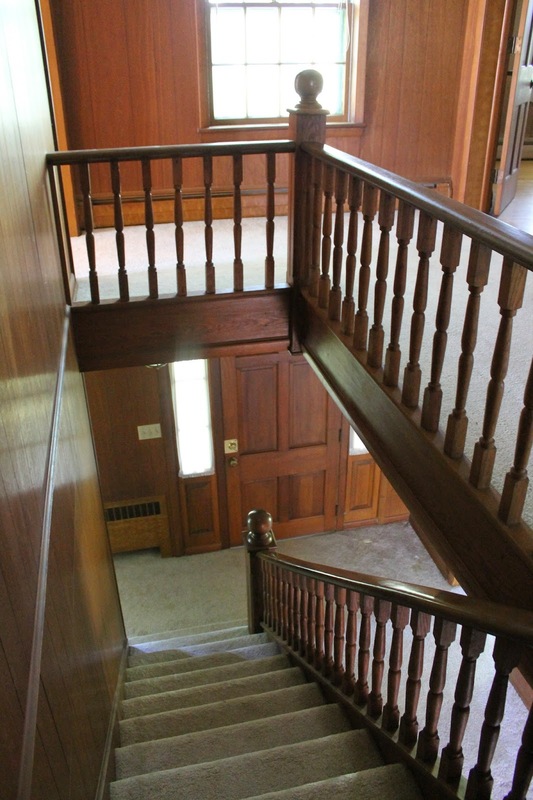 The new house has so much potential. I can't wait to see all that you do.